Ada is a small village in Northwest Ohio, about 16 miles from Lima. 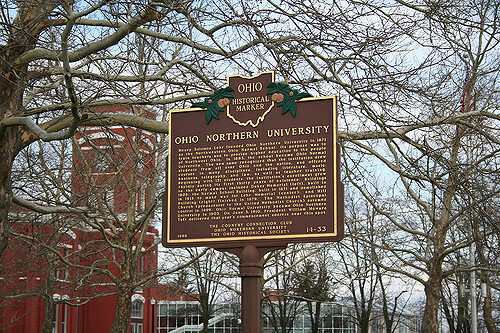 With a population of around 6,000, Ada is also the proud home of Ohio Northern University: a private University comprising five colleges: Arts and Sciences, Business Administration, Engineering, Pharmacy, and Law. Ada has its own public school (grades K-12) and it’s sports teams participant in the Northwest Conference (NWC) as the Bulldogs. Fun fact: Ada has been noted for having one of the shortest place names in Ohio.